Google the words “baby shower” and more often than not you’ll be met with articles about why baby showers are the Worst. Thing. Ever. From awkward conversations with people you don’t know, to weird games (eating mars bar poop out of a nappy anyone?) and cakes that will literally give you nightmares for years to come, it’s easy to see why a lot of people dread the baby shower invitation in the mail. However, it doesn’t have to be the that “thing” people only attend begrudgingly. 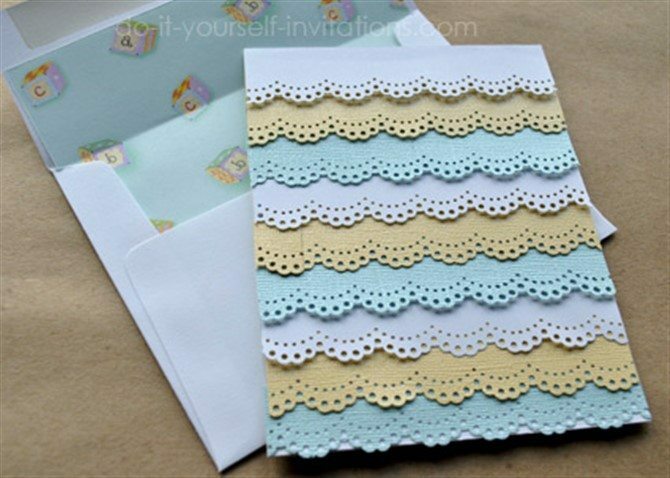 In fact, you can have a baby shower that is not lame and that people want to be part of. And who knows, it could actually be fun! 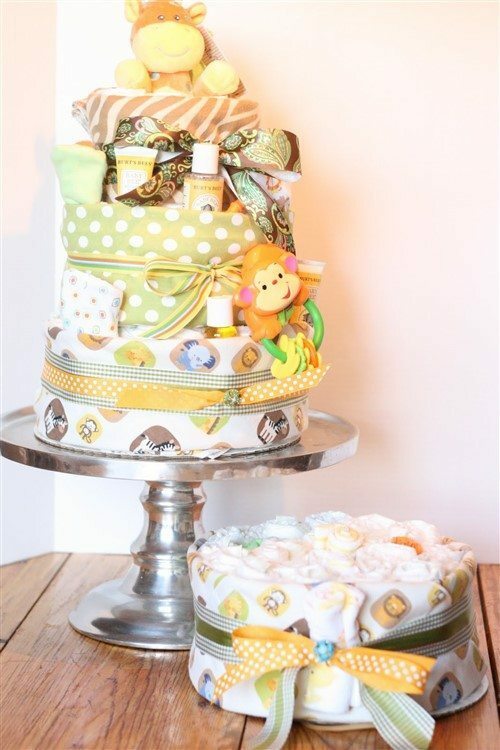 Here’s our tips for having a fun baby shower everyone will enjoy. In the past it was traditional for a baby shower to be organised by a close friend, not a relative, so it doesn’t look like a gift grab. These days it’s just as acceptable to throw your own. Either way, the invitation list is important. Stick with close friends and family. Inviting acquaintances from high school that you haven’t kept in touch with except by sending them a facebook request just looks like you are desperate for money or presents. Besides, if most people already know each other it’ll be a lot more fun than trying to make small talk with someone’s friends cousin you’ve never met before and have no idea why they are there. Whoever came up with the concept of covering diapers in poo coloured candy and getting their guests to lick it off, has a lot of explaining to do as far as I’m concerned. Let’s be honest, no one in their right mind enjoys playing these sort of games. It’s like some humiliating form of torture invented to make your close friends resent you for years to come. Skip the diaper derby or the blindfolded baby food eating altogether. There are far less cringy options. Why not ask everyone to bring a baby photo of themselves and get your guests to guess who’s who? 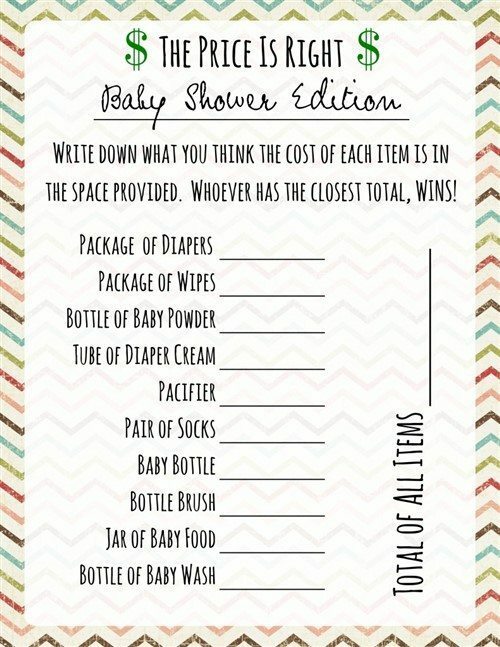 Or play the price is a right game where everyone has to estimate the price of each baby product and the winner gets a prize. Still fun, but a little bit classier and far less embarrassing to the people playing. 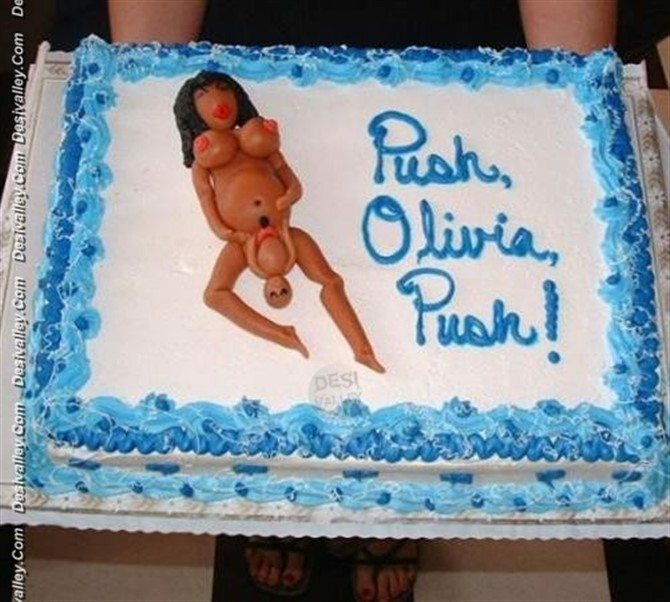 If you’ve ever somehow came across baby shower cakes on the internet, you’d be well aware that there are some things you just can’t un-see. Realistically, they should come with their very one warning label. It’s probably safe to assume that not many mums are going to be in charge of the cake baking for their own baby shower, so if you think there’s a chance that the person who is making yours is going to burn your eyes with one of those monstrosities then it’s best to set some boundaries from the beginning. Worst case scenario, have a spare cake on hand in case your cake provider does go rogue. I’m not suggesting you have goon bags hanging from your clothes line that your guests have to drink (all though I wouldn’t judge you if you did either) but providing a little bit of food and alcoholic beverages for your adult friends to enjoy does help some people have a better time. Some people are introverted, socially awkward or just don’t know many guests so it might be a little nerve racking for them. Your guests don’t have to all drink, but it might be nice to give them the option. Also, by providing nibbles instead of a formal sit-down meal people can come and go as they please and not feel obligated to stay longer than they had planned. 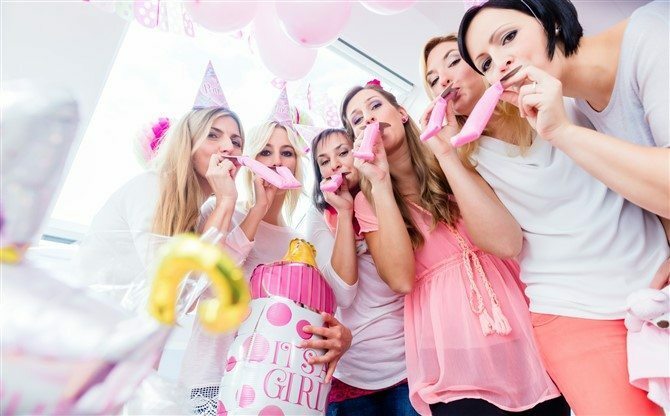 It’s no secret that a common grievance with people and baby showers is the fact they have to spend money on an expensive gift, often pre-planned for them by way of a gift registry. The thing is, everybody understands that children are expensive. But you having a baby is your choice, not theirs, so it can seem to be a little rude if you expect expensive gifts. It might be nice to make some suggestions that could be handy for you, but having a gift registry full of only exxy choices puts people on the wrong foot. Also, people have different incomes and budgets. Any gift given should be appreciated. Baby showers are still supposed to be parties, where people actually have a fun time. So perhaps forget the old traditions. Don’t make your guests all sit around while you open presents. There’s only so many “ooooohhhhsss” and “ahhhhhhhhhhs” each person is capable of making whilst actually sounding realistic. Instead, why not play music instead? Create a fun playlist – Baby Got Back and Ice Ice Baby seem to be appropriate song choices. Who knows, you might even bring the roof down and get all your guests dancing! The problem with the traditional afternoon baby shower is that it often cuts into a person’s whole day. They can’t make other plans, which can be annoying if its on one of the two days they actually have off from work each week. So why not have a breakfast/brunch shower instead? That way people can enjoy a wonderful breakfast gathering and still have time to do something else for the rest of the day. Also breakfast is the champion of all the meals anyway. 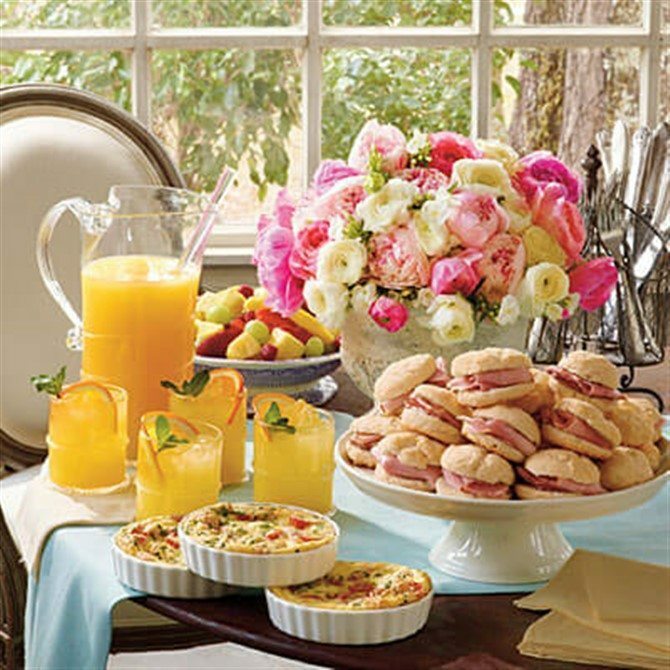 Why not have an omelette bar and serve bloody mary cocktails/mocktails for all your guests to enjoy? Did you have a baby shower that wasn’t lame? Turn your magic memories of the day into beautiful canvas prints. Find out more here.